Konsyl pharmaceuticals has a new product line called psyllium fiber. It is unknown by many people, thanks to a general belief that “fiber is fiber” and “all fiber works the same”. This is and isn’t true. While fiber does work in the same way, psyllium fiber has some distinct advantages over traditional dietary fiber. And Konsyl pharmaceuticals offer some of the purest psyllium available today. I’m sure that you have all heard that fiber is an important part of anyone’s diet. You might have questioned why fiber is so good for digestive health. The science behind this is easy to grasp on a basic level. I actually find it almost self-explanatory, in a roundabout sort of way. You see, when I think of the word fiber, in general, I think of tough strands, like fibers in clothes or fiber glass. The fiber we ingest is similar, in that it is tough. It resists our body’s attempts to break down and absorb it. So instead of being digested and made into something useful by our bodies, it passes through our intestines quickly. As it passes through, it cleans by absorbing and dragging out all sorts of bad toxins, things like cholesterol. Psyllium Fiber has been on the forefront of best options for those in search of the benefits of fiber. It not only promotes healthy digestion by virtually washing our intestines, it has also been documented to significantly lower cholesterol levels. These results are not simply the product of experiments conducted by the brands that market fiber; they have been pioneered by the American Journal of Clinical Nutrition. Psyllium seed husks or “skins” have been established as a better option than traditional dietary fiber. It poses all of the same cleansing traits when ingested, and is also gluten-free. It can be used similarly to starch and flour as a healthier, but just as effective, thickening agent. Recent demand for Psyllium plants has skyrocketed. 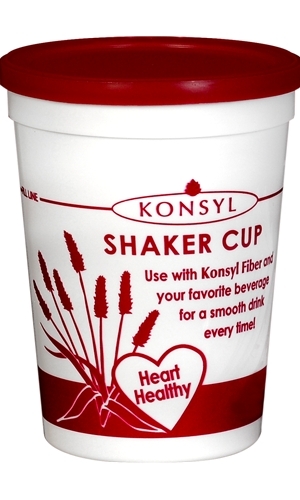 Konsyl’s Psyllium Fiber, original formula, is a great way to fulfill your bodies need for cleansing, treat problems associated with constipation, promote a healthier heart, and lower cholesterol. Each packet contains 6 grams of 100% natural psyllium husks, half of their recommended dosage. This amounts to a whopping 40% of your recommended daily fiber intake. That is 40% of your fiber, in its purest form, at only 3 calories a pack! No sugar has been added and the psyllium is tasteless and odorless. Eight ounces of water to mix a pack of this fiber in is all you need to open your life to better digestive health. You can show some love by liking Konsyl on Facebook and following them on Twitter. Where to purchase: You are able to make a purchase from the Konsyl website. Prices will vary. You can also go under the Where To Buy tab to find a retailer near you.